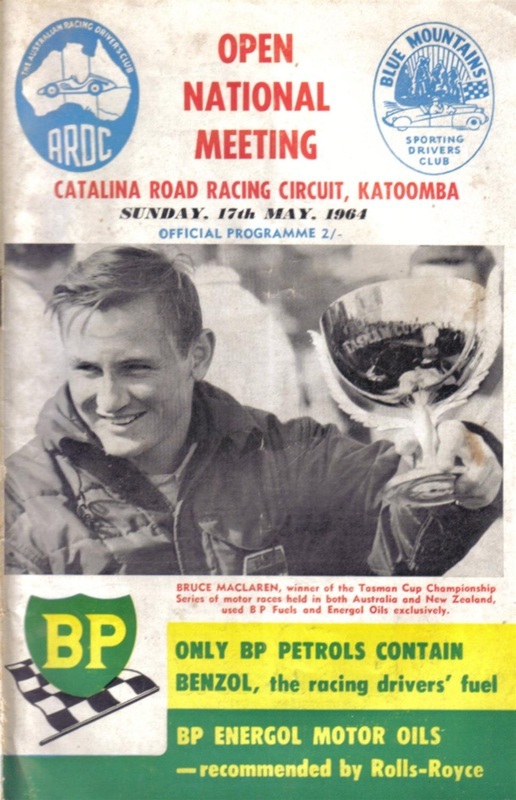 Catalina Park Road Racing Circuit was located in the Blue Mountains at Katoomba, Construction on the circuit first began in 1954 and the circuit was officially opened in 1960 and was operated by the Australian Racing Drivers Club, The race track was 1.3 mile or 2.1 km in length. 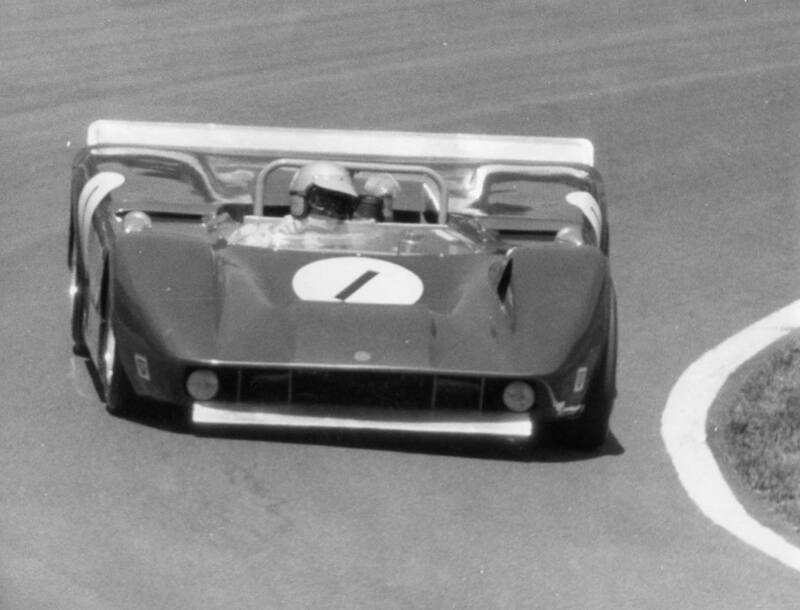 Many forms of motorsport used Catalina Park from Motorcycle and Sidecar racing to Touring Cars, Sport Cars and Open Wheelers. 1965 - Norm Beechey with the Neptune team and the Mustang. Photo: Bruce Wells. 1965 - The S4 Holden EH. Photo: Bruce Wells. 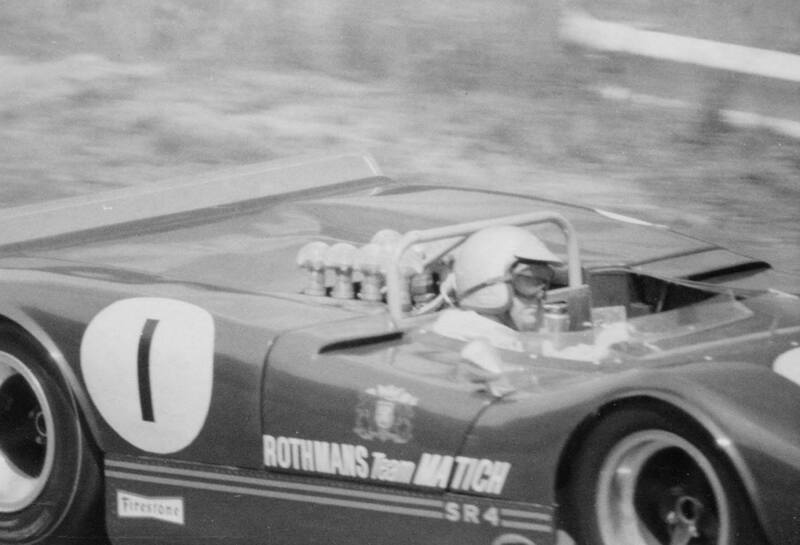 1965 - George Murray in the Bill Warren owned Austin Spares Special. Photo: Bruce Wells. 1969 - Photos: Dale Harvey. 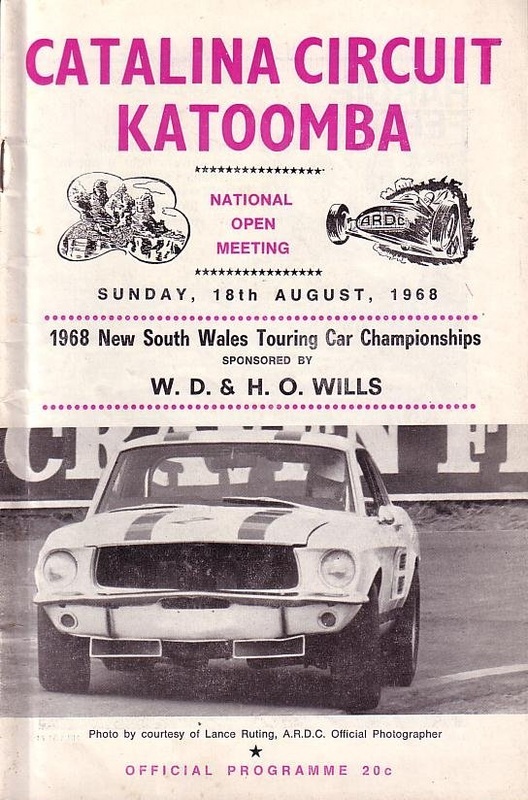 By 1970 the narrow undulating race track surrounded with armco railings and solid earth walls had lost its apeal to many competitors who were more in favor of the newer circuits of Oran Park and Amaroo Park, as time passed the track would be used for Rallycross mainly. 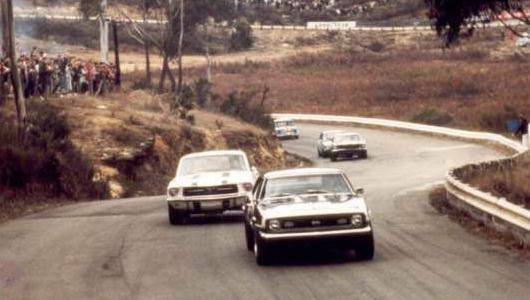 Rallycross was conducted at the venue from 1972 through to the July 1980, The track ran partly on the bitumen section and also a section of the dirt infield that contained jumps. Chris Heyers in the Volkswagon leads the unknown driver of the mini and the Beast on a charge. Photo: Robert Kinder. 1980 - Photo's Warren Hawkless. 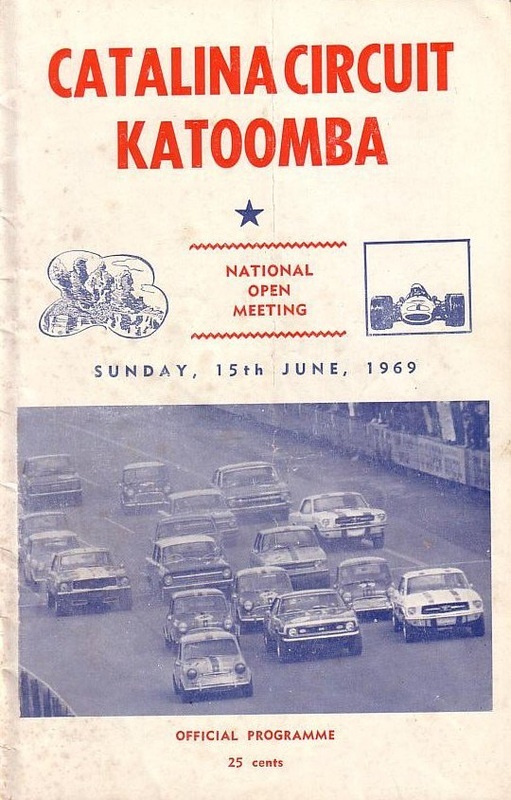 Rod Kinder recalls: My grand farther Lesley Kinder was part of the original build back in 1954 of the circuit, My farther Robert and his brother Bill spent many weekends bolting the timber walls in place around the circuit. 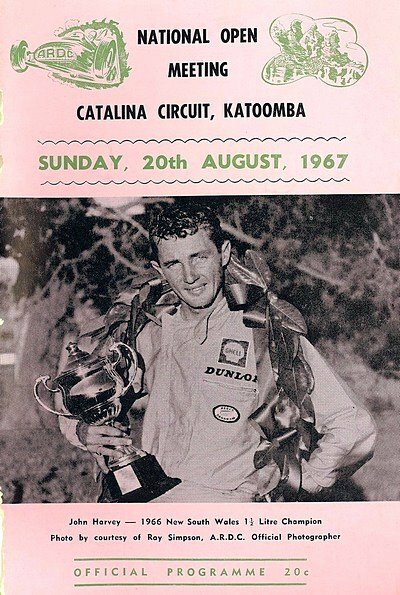 As kids we went to every Rallycross meeting and parked dads EH Holden wagon backwards against the fence near the water splash, I remember seeing all the greats of the time running around the track while sitting on the tailgate. 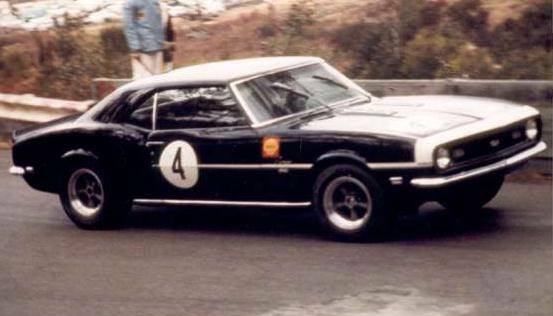 My favorite was the Holden Dealer team "Beast" as well as Tom Rabolds Holden and the V8 Hillman Imp that spun every time he put his foot down. In the eighty's and midway through the ninety's the full circuit was used for time trials only until it was closed for ever. The circuit does still exzist and can be walked around however water seepage has broken up sections of the race track and it is also overgrown with vegetation.